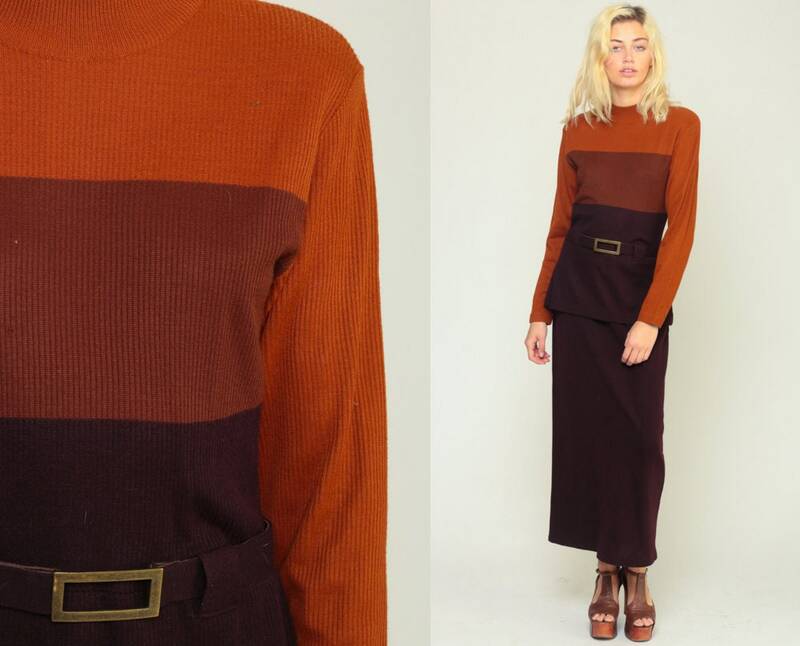 Vintage 70s dress by Liz Claiborne in wool/acrylic blend knit with stripes and a matching belt. It has a rear zipper and shoulder pads. Condition: Very good vintage. Has three tiny holes in the front of the dress by the right bust. Material: Wool / Acrylic blend knit.